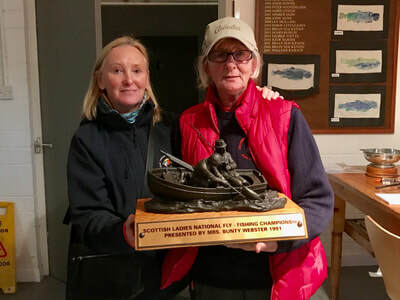 SANA Ladies take Gold for third year running. 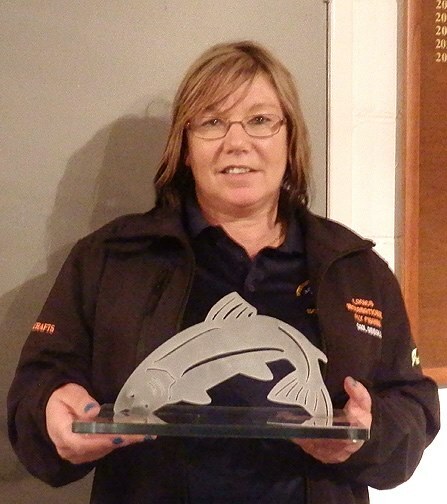 The weekend was open to all lady anglers or ladies who were interested in becoming anglers. 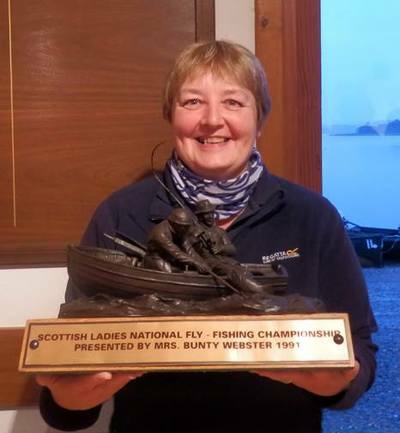 The Saturday focused on the basics of casting, fly tying and general angling. The weekend began with an introduction from the lady’s Chairman Jane Wright MBE, (SVQ level 2, GAIA). There was a short presentation on the theory of casting then outside for casting instruction from Andrew Toft (AAPGAI), Ken Oliver (APGAI, SGAIC, CCAL2, GAIAC) and John Hood (SGAIC). Indoors there was one to one advice on knots, fly tying techniques and general queries from Alan Hill (Team Manager). After lunch, there was a fly-tying demonstration with Ian Christy from Fly Box. Then a presentation of Fly line sink rates and profiles with leader set up from Ken Oliver and Alan Hill. The Sunday concentrated on more advanced techniques. 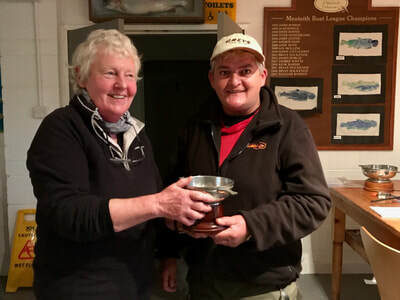 On a cool and overcast day in Wales, Scottish rods took 2nd 3rd 4th and 5th places in the International on May 22nd with 44 fish weighing 76lbs 3.75oz ahead of England with 37 fish weighing 63lbs 4.75 oz, 3rd place went to Ireland with 33 fish weighing 54lbs 12.5 oz and fourth to Wales with 33 fish weighing 53lbs 8.75 oz. Top Scottish rod was Anne Boyce for the second year running with 10 fish. 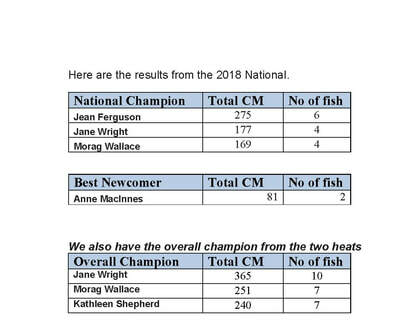 Under the management of Jane Wright with Alan Hill as manager elect, and Morag Wallace as Captain, the team has worked hard for this result with a pre match visit a couple of weeks ago providing the basis for the fishing plan which, devised by Alan, subsequently proved to be the winning formula. The pre - match visit suggested Traws was already well stocked so the plan was to target fish that had been in a while, the theory being that a method that worked for earlier stockings would also work for recent introductions who, come match day, would have seen enough to turn off blobs. Relying heavily on stripped blobs, England hauled in fish for the first couple of hours and it looked as though Scotland had blown it - then our plan kicked in and a steady catch throughout the rest of the day delivered the gold for us. UV plays a big part on Traws, the best fly by miles being a black booby on the tail and above this a couple of snatchers augmented by small blackish cormorants, dawl bachs and more imitative patterns fished very slowly, either on 3’ or 6’ midge tip with a fig 8 retrieve on the hang . Our thanks to all who gave time for us during our training sessions including Alisdair Mair, Peter Edge, Jim Litster, Ken Oliver, Andrew Toft , Iain Earle, Max McInstrie and above all Alan Hill who travelled with the team. 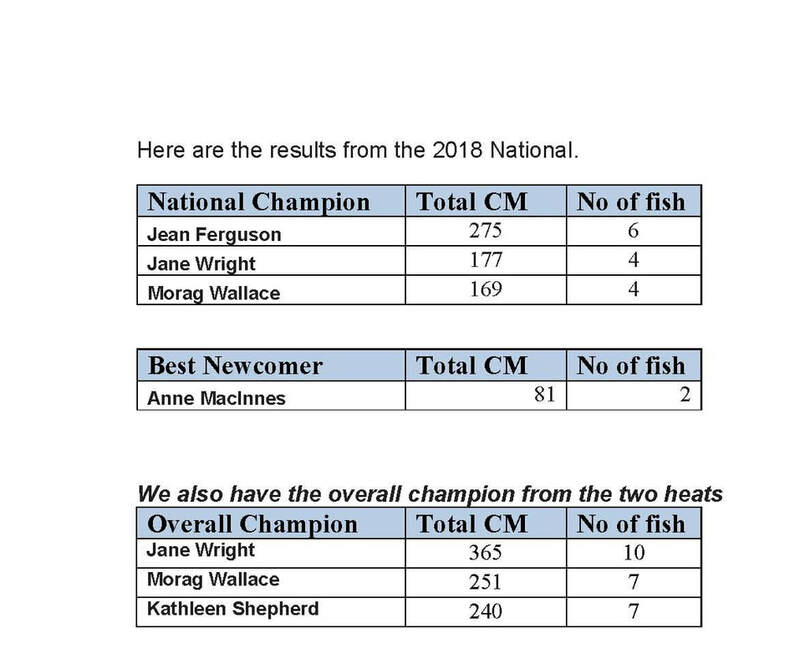 To win in the 25th year of Ladies International Angling is very special and is the first away win by the Ladies Team since an invited team took the gold at Rutland in 1992 before trials were held! Back: Sheila Mannion, Liz McLelland, Liz Frazer, Anne Boyce, Jane Wright (Manager), Margaret Earle and Gill Forsyth. Front: Kathleen Shepherd, Morag Wallace (Captain), Elizabeth Pringle and Alan Hill (Manager elect).